While much has been written about Computer Supported Collaborative Work (CSCW), there is more to live than work, and more to living than pleasing one's employer. The apparatus of the telepointer invention can be incorporated into ordinary day--to--day living, and used for such ``tasks'' as buying a used car while a remote spouse collaborates, or buying milk at the grocery store. 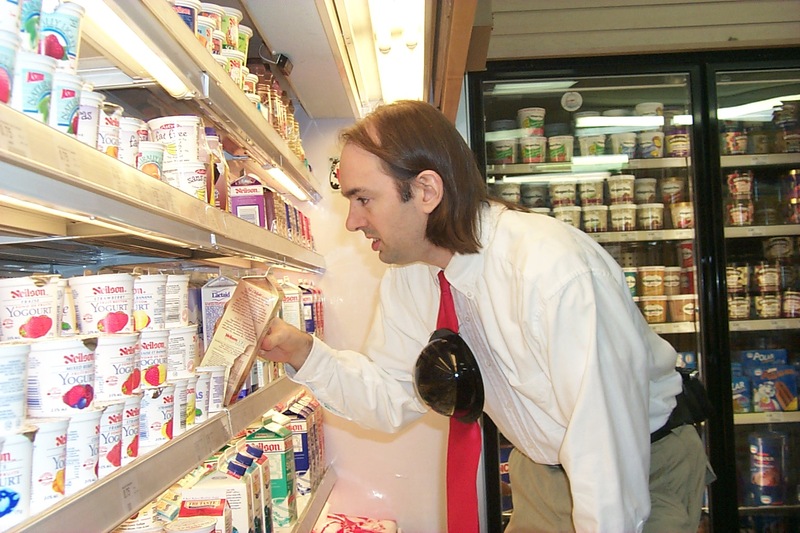 This figure shows the wearable portion that the apparatus, worn by the author, in use at a grocery store. The necktie mounted visual augmented reality system has no headwear or eyewear. The apparatus is concealed in a dark smoked plexiglass dome of wine--dark opacity. The dark dome reduces the laser output to safe levels, while at the same time making the apparatus blatantly covert, shouting the message ``safety'' while loudly concealing the apparatus. The dome fits in well in any department store or gambling casino decor. When the author has asked department store security staff what the dark domes on their ceilings are for, he has been told that they are light fixtures, or that they are temperature sensors, and the like. Therefore, when asked by the very same department store security guards what the apparatus is, the author has plenty of answers on file. Here is a close up view of the necktie clip portion of the apparatus. The necktie mounted visual augmented reality system. 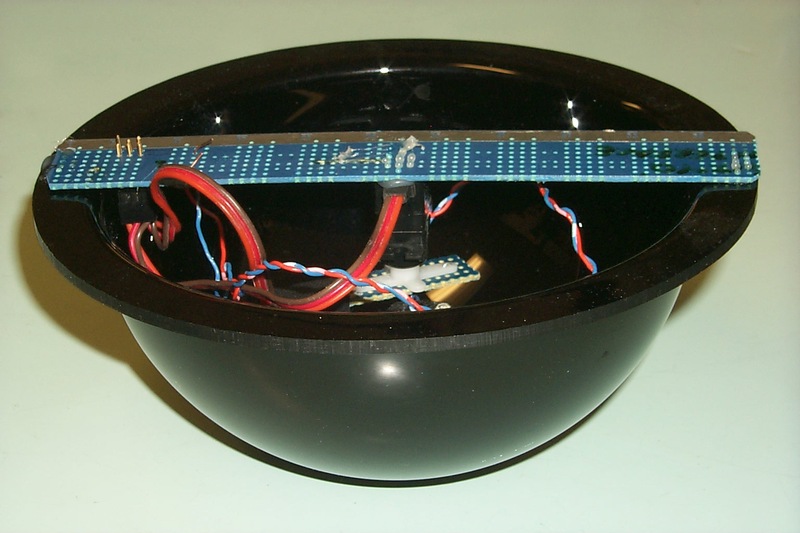 A dark smoked plexiglass dome of wine--dark opacity is used to conceal the inner components, such as the pan tilt head and system for remote control of it, etc.. Wiring from these components to a body--concealed computer runs through the crack in the front of the shirt. The necktie helps conceal the wiring.